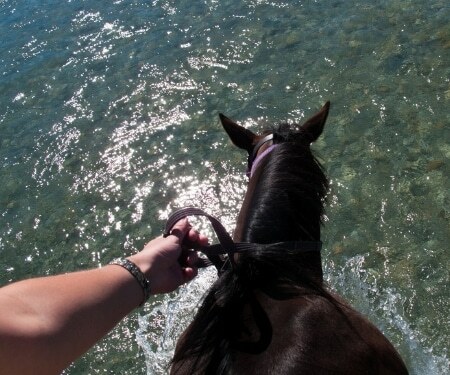 ‘Swim’ with the horses as they take you on an unforgettable adventure. Swim with the dolphins at Dolphin Cove. They might even give you a kiss! 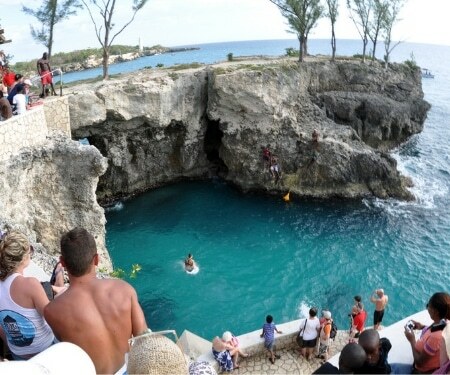 Do you dare to jump off the cliff at Rick’s Cafe in Negril? Don’t be scared! 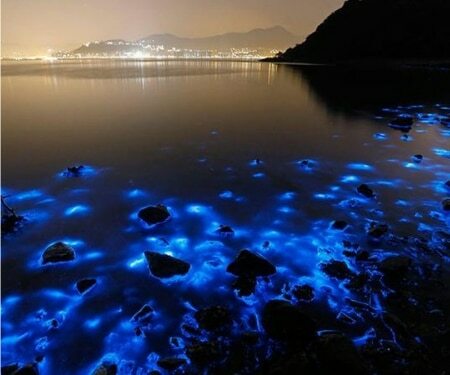 Also referred to as Glistening Waters, it’s 1 of 4 places in the world where this occurs! 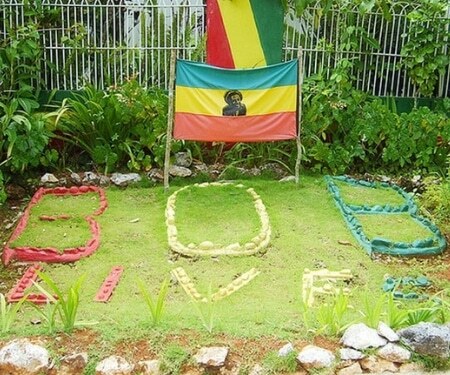 Let us tour you around Nine Mile Beach as you learn about Jamaican icon Bob Marley. 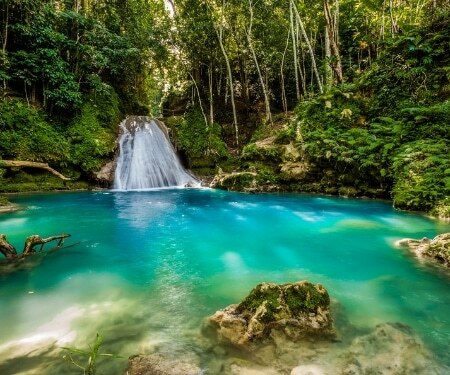 Simply soak in the beauty of Blue Hole in Ocho Rios or jump in if you are feeling froggy! 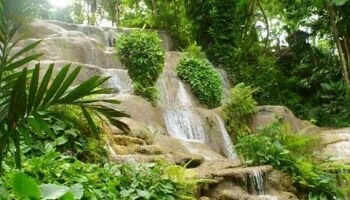 Have us guide your tour of Dunn’s River Falls so you don’t miss a single thing while there. 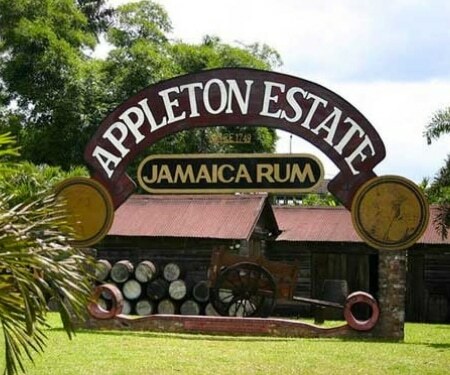 Jamaica is known for its Rum and Appleton is hands down the most popular. We make your money go further in Jamaica! 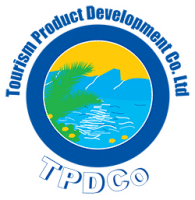 Whether you just need rides to and from the airport, rides to and from your activities while in Jamaica, or you would like our specialty, guided tours! Know Jamaica Tours is owned by Marva and Javia Shaw. 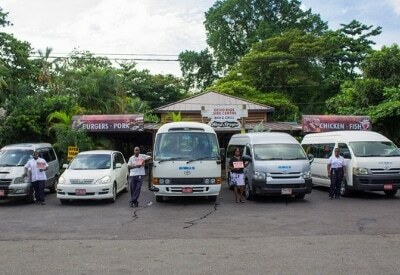 Jamaica natives and a mother/son team, you will not get a more authentic feel for the island with any other tour service. 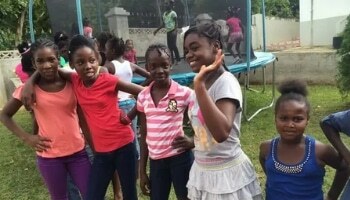 Many of our guests over the years have been interested in learning more about the Jamaican culture while on their trip. We’d love to share our country’s history with you too as we show you around. 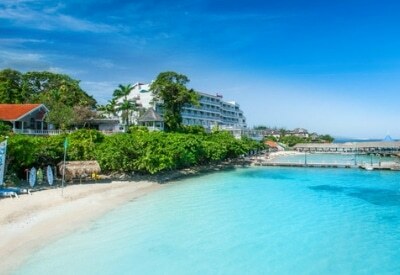 ‘Total satisfaction’ is Know Jamaica’s motto and our goal is to make sure your trip is unforgettable! 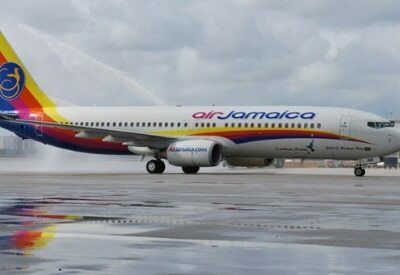 Travel worry-free with Know Jamaica knowing your safety is our top priority. We can pick you up & drop you off. 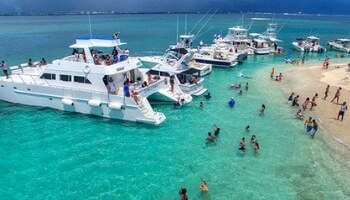 With Know Jamaica Tours of course! Our 1 goal is to give each visitor an unforgettable experience so our clients leave eager to come back! 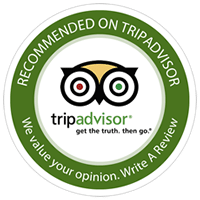 But we don’t just want you to come back and see us, we want to make your Jamaican vacation so special you tell all of your friends and bring them back with you on your next trip. You have questions! We have answers!